Here at KiddyCharts, you will always find something for your little ones to do. From free learning printables, and colouring pages to crafts for kids and recipes to make the best food for your family. 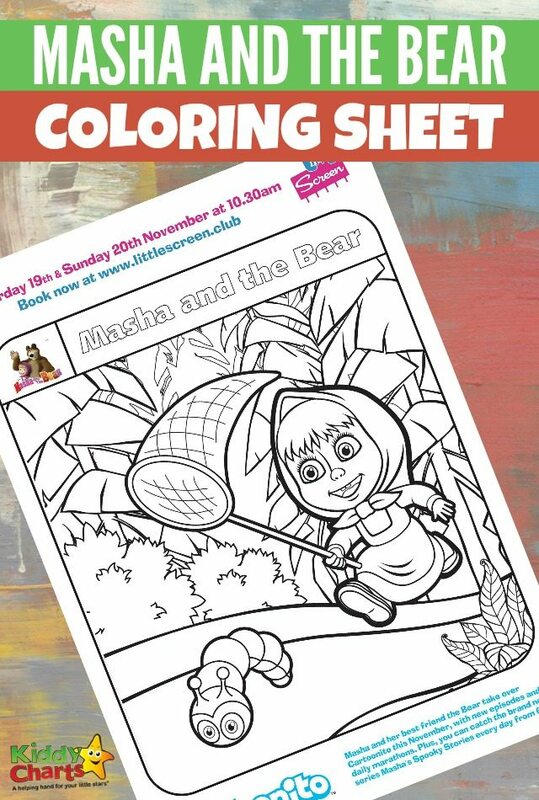 Today we are sharing a Masha and the bear colouring sheet to keep the kids busy and entertained. To get your own copy you need to click on the image below. 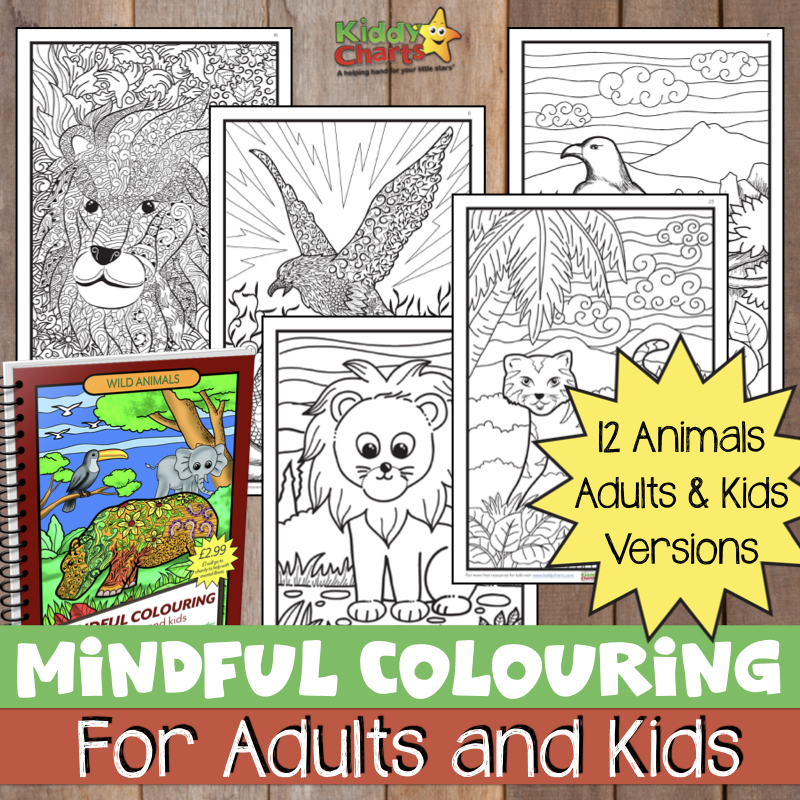 There is quite a lot to colour in, so give your kids a little time to get through it all. Masha is a playful Russian girl who lives in the forest with her dog, goat, and a pig. Animals in the forest are very scared of her because she forces them to play with her. One morning, Masha sees a cute butterfly and accidentally follows it inside the home of a giant bear who was fishing at that time. She makes a huge mess while playing in his home. When the Bear comes home, he sees what Masha has done to his house. The Bear tries to get rid of Masha, but he is not successful, and he and Masha become good friends. This is a unique and exciting monthly interactive cinema experience for 3 – 6 year olds that entertains and educates. Pinewood Live is delighted to announce another run of LITTLE SCREEN events, a brand new interactive cinema experience created exclusively for families and their young children, after a very successful launch. The first-of-its-kind cinema event has been created to both entertain and educate the whole family. Little Screen will feature two showings across one weekend each month, with a new format of shows aimed at children aged 3 – 6 years. The new show will feature the much-loved Masha and the Bear, Lily’s Driftwood Bay, Miffy’s Adventures, Octonauts and Paw Patrol. Why not take a look to see if you would like to take your little ones? Do take a minute and pop on over to our lovely Pinterest account. 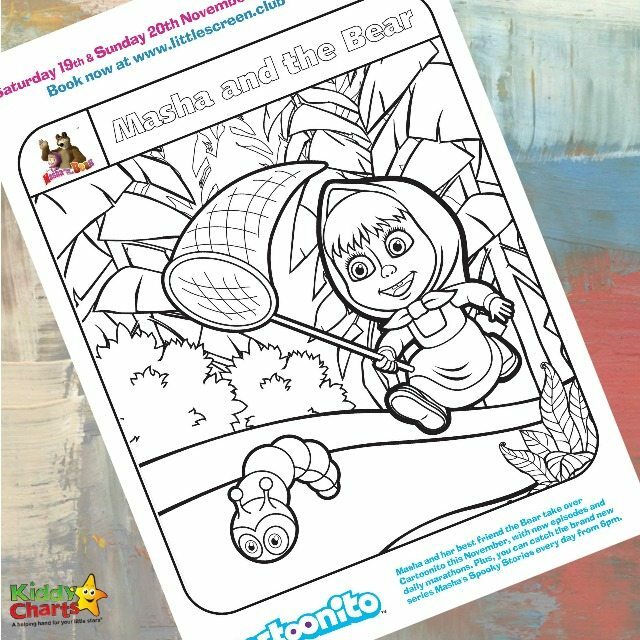 We have quite a lot of free colouring pages, activities and other fun free printables so you can keep your kids busy for hours and hours and do sign up for our newsletter too, so that you don’t miss out on the other great ideas and freebies that we have for you.